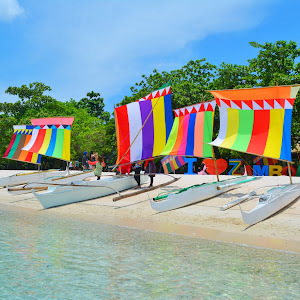 At the beginning of August, when I received an invitation from a travel writer friend Celine Reyes of Celineism to take part in the Microtel North Luzon Tour, I said, "Thank God! 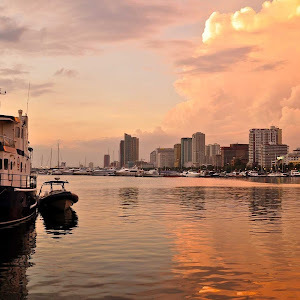 This is going to be my much-needed hideaway from the stressful -- academic and work-related -- life and from sleepless nights." A heavy school workload and numerous writing gigs brought me an extreme amount of stress. 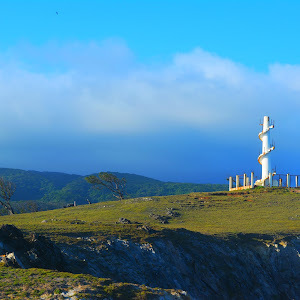 Studying lessons, creating marketing plans, doing projects, and writing stories for my travel assignments -- they all contributed to the pressure experienced by my mind and body. During that time, my mind wanted to relax while my body sought comfort. "I am exhausted. I need a break! ", the words echoed in my brain. Good thing, I was invited to join a tour. The urge to relax my mental and physical beings would be real. After a week of communicating online with other travel writers joining the tour, the day of Microtel North Luzon finally arrived. I woke up early, preparing my things and looking forward to the tour ahead. With my bags packed, I then traveled almost an hour and a half to the meetup location at Microtel UP Technohub. I was familiar with the meeting place because the week before, I, together with my cousin, had a pleasant stay there. I also knew that the area was known for its monstrous vehicular traffic. Just as I expected, the early morning traffic jam in the metro never failed to challenge my patience. When I arrived, I saw Celine Reyes of Celineism, Mai Flores-Campos of Budget Biyahera, Billy Palatino of Galaero Escape Travels, Monica Manuel of Seeya, Monica and Claire Madarang of Traveling Light all seated at a long white table. I joined them with apprehension, knowing I was late. But to my surprise, they were all smiling, and they even invited me to grab my breakfast at the buffet while they were having theirs. Mai, who stands as the leader of the group, announced that after taking the morning meal, we were good to go. With the breakfast completed, we proceeded to the service van provided by Microtel North Luzon team. Inside the van, I introduced myself since it was my first time meeting them all though I knew some of them as my Facebook friends. Celine, who happens to be my long-time online friend, and I had a short conversation, sharing a couple of fascinating travel stories. Then she excused herself to go to sleep. Not used to sleeping while traveling in both private and public transportation, I started reading the book Shadowland, which I had brought. 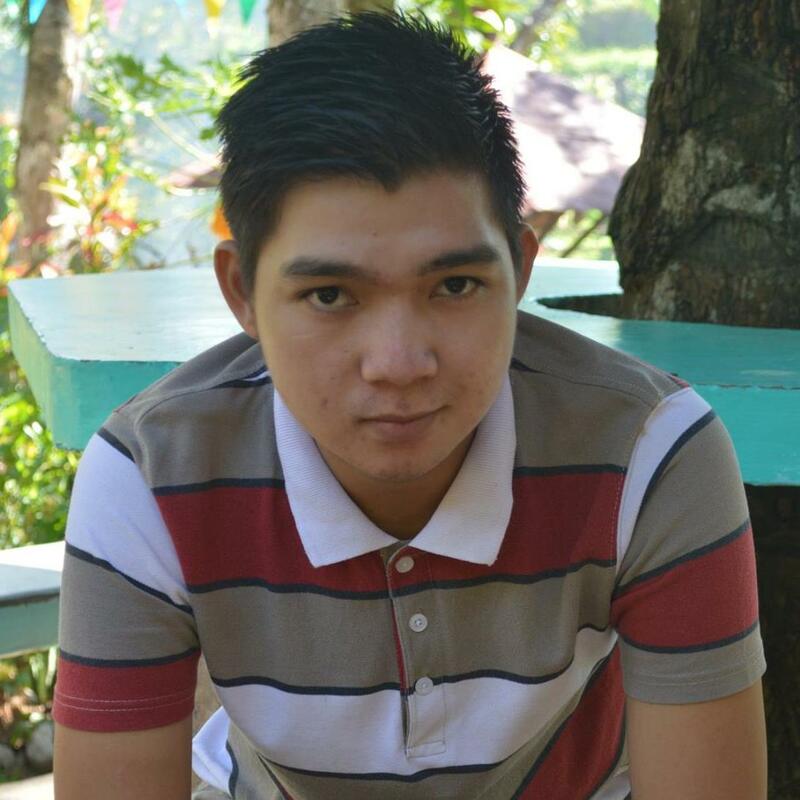 I was on page 112 of the book when we arrived in Tarlac City. It took us about two and a half hours to reach Microtel Luisita. I must have fallen asleep anyway. Another view-tiful side of Microtel Luisita. 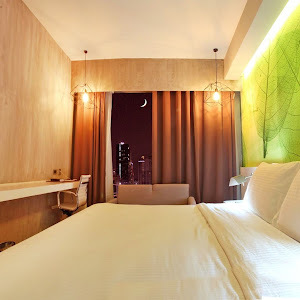 Microtel by Wyndham - Luisita, Tarlac, a 3-star hotel and the first Microtel in the Philippines, offers a mixed contemporary American-styled appeal with the continuing fascination of modern Filipino design. It is perfect for travelers whether for vacation or business. From the feel-at-home lounge with a sofa set, a TV, and a beverage vending machine near the front of the concierge, to the pleasant elongated hallway that leads to the doors of cozy rooms, the simple charm of the space evokes an ideal place for comfort and relaxation. Queen-sized bed with an extra bed on the side. Billy and I, being the only men in the group, decided to be roommates. While Billy was still at the lobby getting his stuff, I went ahead to our room. After opening the door with a key card -- all rooms have a key card entry system -- I put my bags down and checked out the amenities. Upon inspection, the first things I saw were the queen-sized bed, an extra bed, the two white pillows and comforters that were soft and warm. I could not resist trying them and I experienced right away the comfort they gave my body. 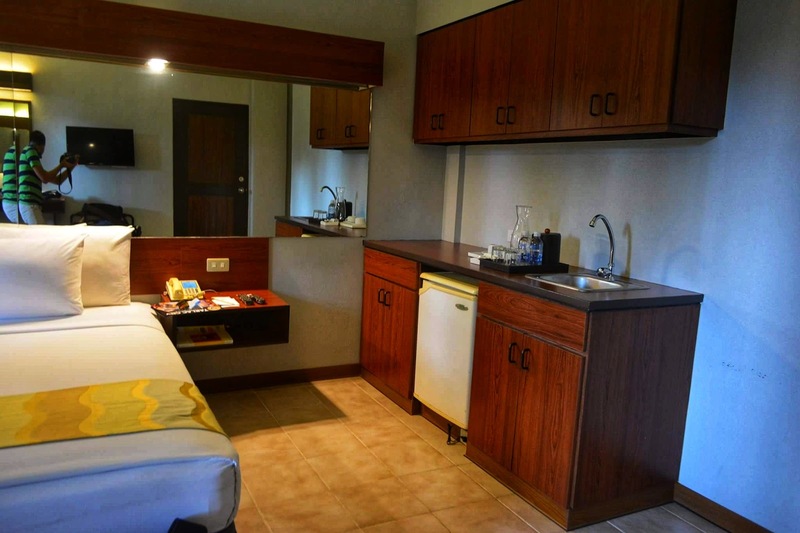 The comfort that I felt added a lavish feeling of opulence that may be expected in all Microtel's 50-room inn. 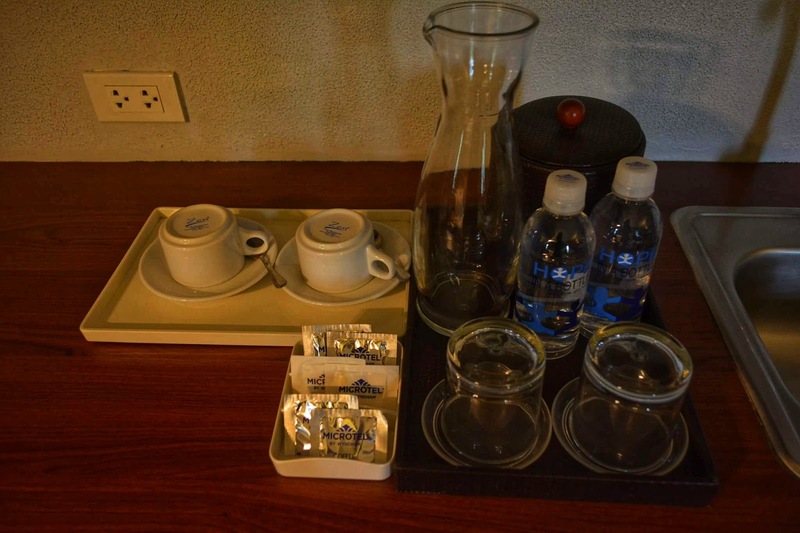 Beside the bed, complimentary bottled water and coffee were served. The room also had cable TV, a chiropractor-mattress, an individually controlled air-conditioning unit, IDD and NDD phones, internet access, a radio clock, and a fully-automated fire safety system. I liked both its simplicity and elegance. The room was commodious, especially for just two of us. There's a mini refrigerator and sink beside the bed. Cool! 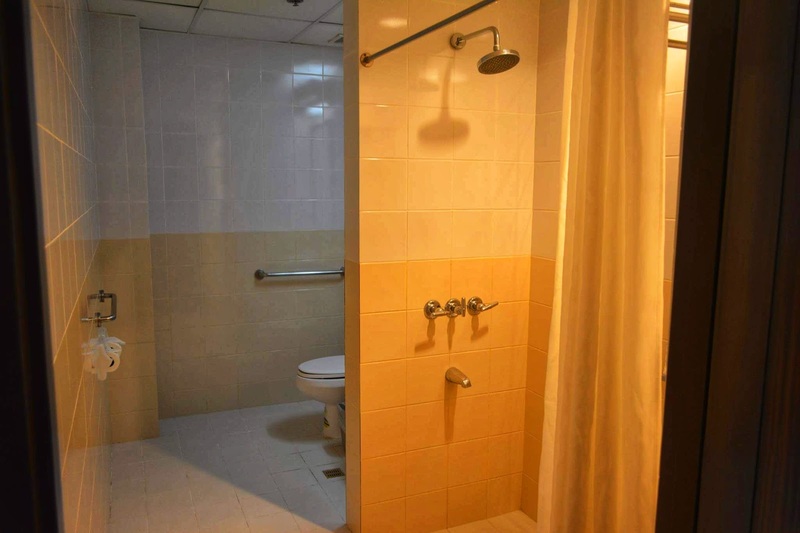 Another accommodating part of the room was the toilet and shower area -- it was spacious as well with a full-sized bathroom. The shower had both hot and cold running water. 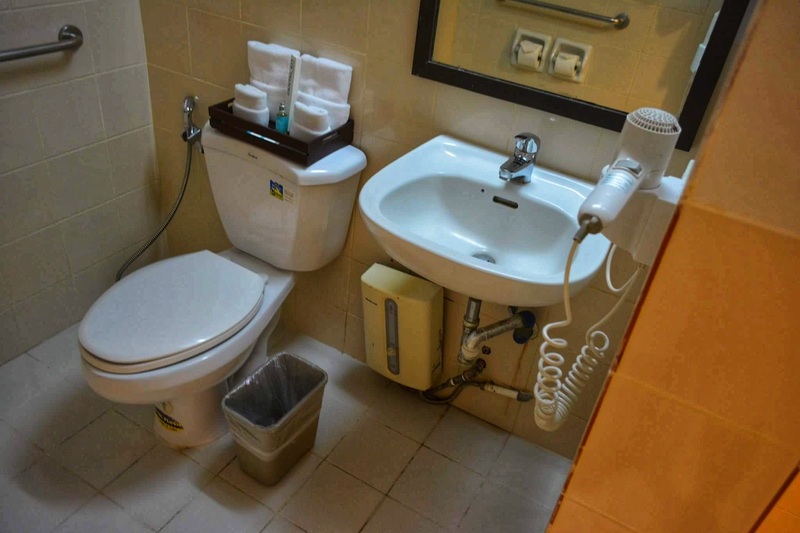 Toilet with bidet and sink with blower. I love coffee so much. When I saw the Nescafe dispenser and coffee machine along the corridor, my heart was beyond happy. I could have my quick pick-me-up. And you know what was good about this? Unlimited cups of coffee! Aside from unlimited coffee, breakfast was free, included in the accommodation package. The price of the rooms varies, directly based on the date of reservation and availability. For a room with one queen-sized bed, price ranges from 1500 - 2610. For a room with two queen-sized beds, price ranges from 2200 - 3210. For those who prefer a suite with a queen-sized bed, it ranges from 2900 - 4210. The currency of the room price is Philippine Peso. Note that the room prices are subject to change without prior notice. 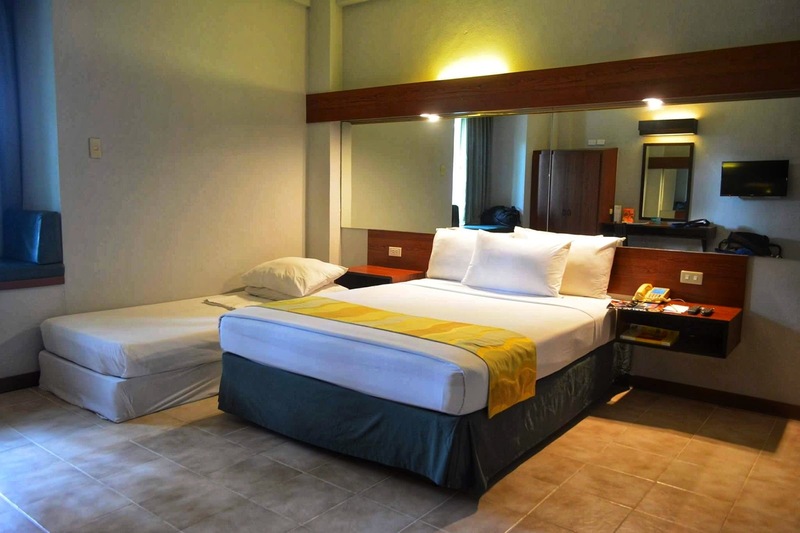 Since the hotel is strategically situated at the heart of Hacienda Luisita Industrial Business Park, it is near a world-class golf course, the Luisita Golf, and Country Club. The Aquino Center and Museum, which showcases some of the rich untold repositories of Philippine history, is a minute-walk away. The Las Haciendas de Luisita Subdivision, a 5-interconnected luxury subdivision, is also close. If you feel like going to the mall, the Robinson's complex is just a quick ride. 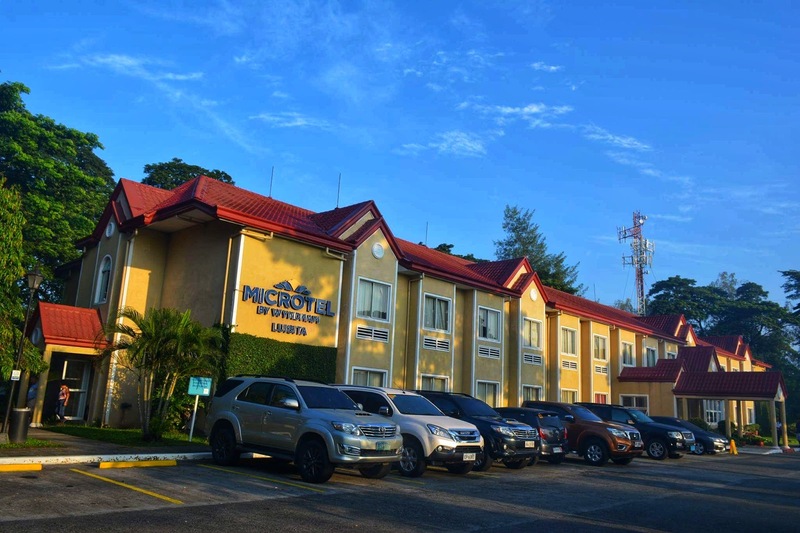 After a day of exploring Tarlac City, my Microtel Luisita stay offered me a tranquil shelter with its roomy accommodations and pleasant experience. The much-needed comfort and relaxation I was looking for were fulfilled. 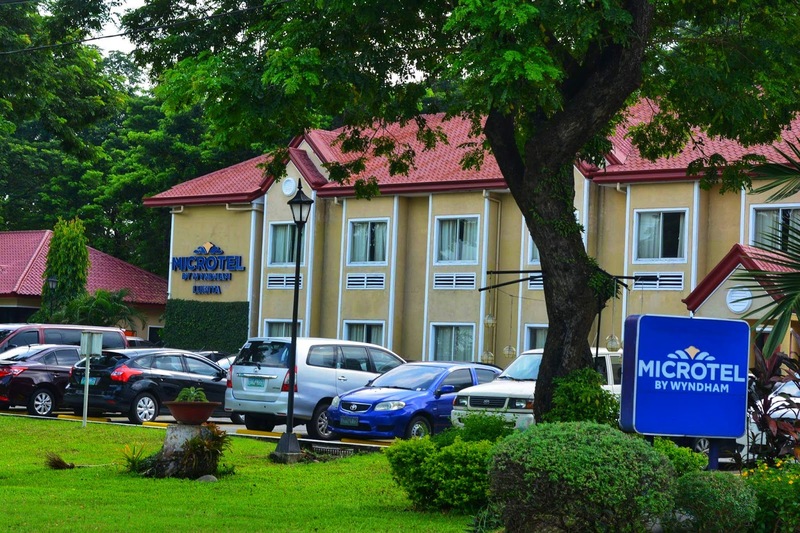 Thanks much to Microtel by Wyndham - Luisita, Tarlac, I had a great restful sleep! Wow! 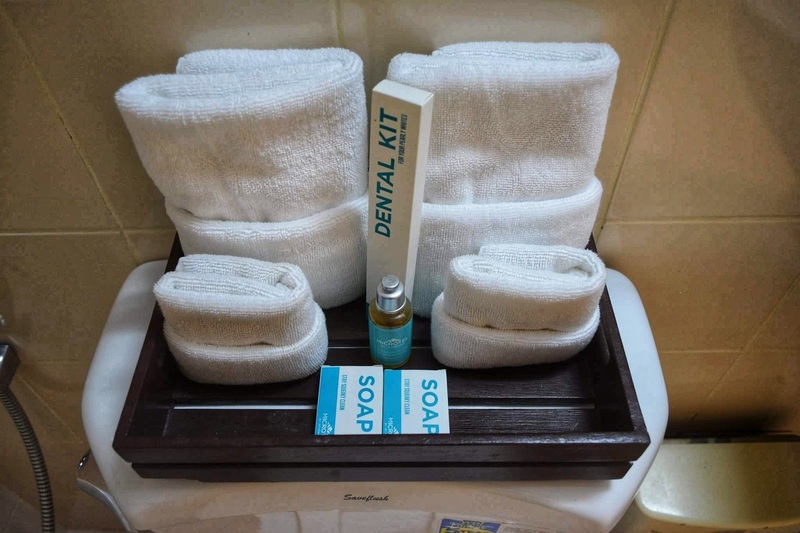 You surely have a wonderful time staying at Microtel Luisita! I did enjoy my stay, Virginia! Thanks for stopping by.